Sabrina Rivera has a question for you. 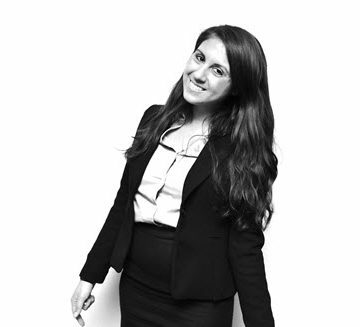 Rivera, P.E., M.ASCE, is a water resources engineer for ARCADIS in Los Angeles, president of ASCE’s Los Angeles Younger Member Forum, and chosen by ASCE as one of the 2017 New Faces of Civil Engineering – Professional. 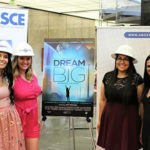 Rivera is a big believer in the vital work civil engineers do for society, and she’s an even bigger believer in the importance of getting that message out to the society civil engineers work to protect. Rivera’s approach to her career has focused on the big picture. 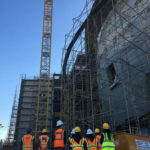 At ARCADIS, she has worked on reservoirs, on pump stations, and on the conceptual planning of an eight-mile sewer pipeline. Then through her volunteer work, she has connected those lessons about water to the community. 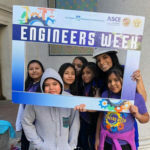 Through the very active ASCE L.A. YMF, she established an Engineers Week activity in 2014 that has since grown into a weeklong series of events connecting local civil engineers with students and members of city council. She’s the sustainability chair for a nonprofit, Playascape, which unites art with infrastructure. And she’s exploring plans for a documentary film. ASCE will honor Rivera and all 10 New Faces of Civil Engineering at the 2017 OPAL Gala, March 16, in Arlington, VA. Tickets are available now.